If you experience the devastation of a fire in the Greater Philadelphia or Southern New Jersey area, you can trust the professionals of PuroClean Emergency Recovery Services to restore your property. Whether it’s a commercial, industrial, or residential fire, our team of IICRC certified technicians are fully trained and for fire, water, and smoke damage restoration. With knowledge, compassion, and skill we respond 24 hours a day, 7 days a week . 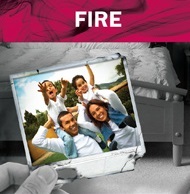 And, we understand that cleaning up after fire emergency requires urgency and sensitivity. When water damages properties, whether it’s from burst pipes or storm damage, our PuroClean Emergency Recovery Services professionals respond immediately. We’re on call 24 hours a day, 7 days a week. We mitigate the loss and meet every challenge with professionalism, reliability, compassion and respect. Water, unlike wine does not improve with age. That means timing is critical when water damage occurs. The more quickly you call us to mitigate the damage, the more money you save because our techniques are based on salvage and restore. 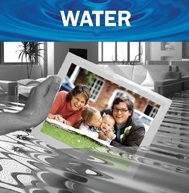 We recognize the trauma and emotional disruption that people suffer when water damages their property. So, whether it’s a commercial or residential building, we work compassionately, professionally and quickly to contain the damage and mitigate the loss. PuroClean Emergency Recovery Services offers mold removal services for commercial and residential properties to stem the tide of mold. We provide cleaning and sanitation services, including mold and mildew odor removal to restore your home or business to its original state. Our professional deodorization techniques erase mold and mildew odors. 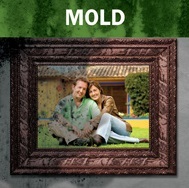 Removal of mold and mildew can be a serious endeavor. And PuroClean Emergency Recovery Services has the expertise and technology for the job. 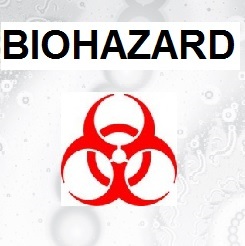 When a biohazard occurs in your home or business, you need professional biohazard cleanup, and you need it now. We understand that time is of the essence when these emergencies occur. PuroClean’s Emergency Recovery Services’ biohazard waste disposal services and biohazard property restoration services can help to ease the emotional discomfort caused by a biohazard emergency. We are the Paramedics of Property Damage™. That means we’re trained to handle all types of biohazard waste disposal. Our biohazard cleanup services range from suicide, homicide and accidental death cleanup to sewage cleanup damage restoration services. Our biohazard property restoration services also include help for families of people diagnosed with hoarding disorder, and packrat cleanup services.